What golfer wouldn't want to be surrounded with a bit of argyle? 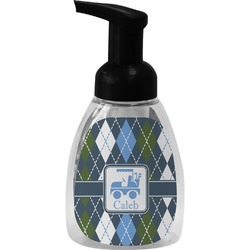 We have taken the traditional argyle pattern and dressed it up by using dark and light blues, dark green and white. A wide band of dark blue trimmed in white pulls the design together. 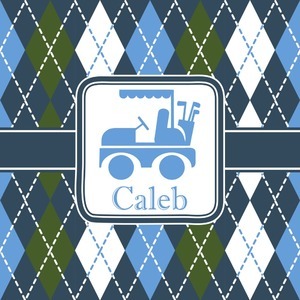 A square white label that is trimmed in double rows of dark blue will provide the focal point for your little one's very own golf cart and personalization of your choice.